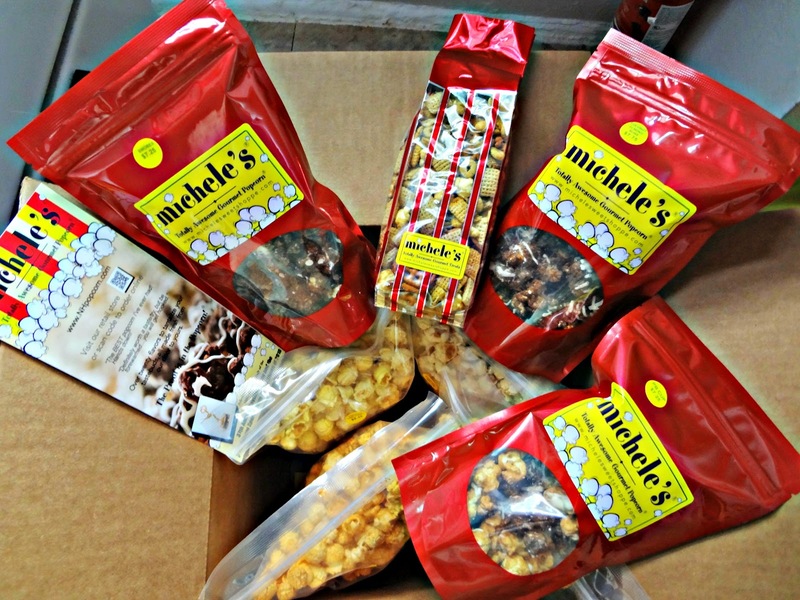 The Cooking Actress: Michele's Totally Awesome Gourmet Popcorn! 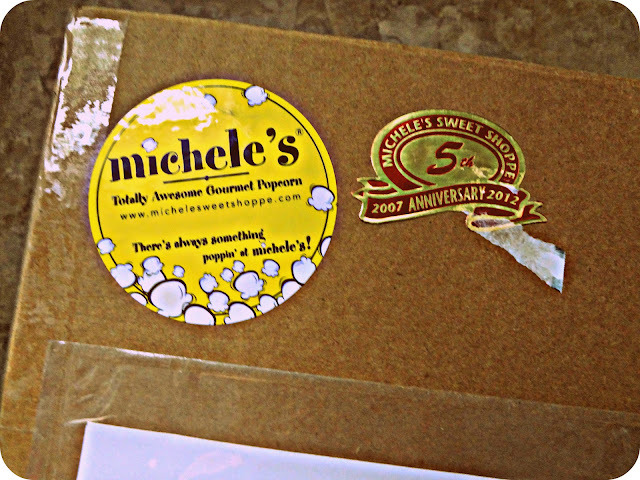 Michele's Totally Awesome Gourmet Popcorn began when the wonderful Michele decided to start selling her beloved whoopie pies...yes...whoopie pies. She began to research how to run such a business. During this time she was also sharing some amazing white chocolate popcorn, and enough people raved about it and told her that she should sell it that...well..she did! She decided to set aside the whoopie pie idea and focus on gourmet popcorn. 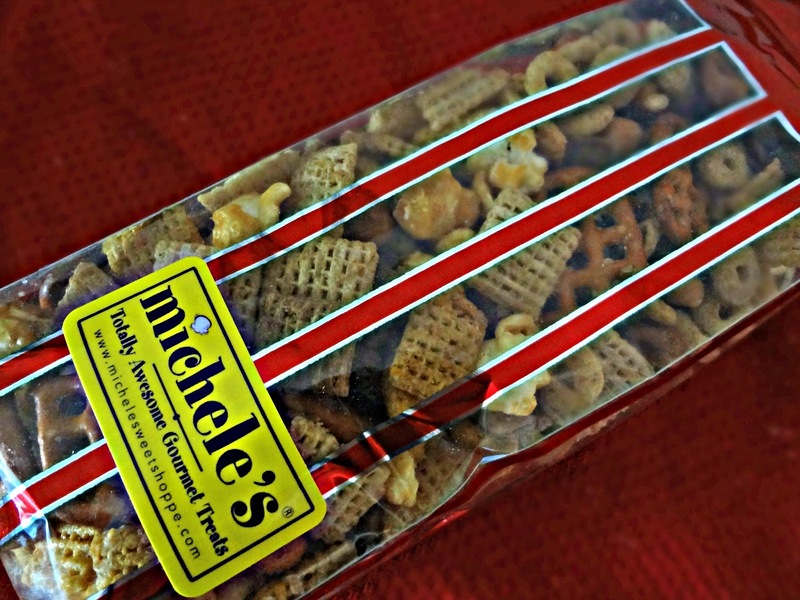 A family run business, Michele's is run by Michele, her husband, and her 3 children in New Hampshire. All of the flavors are hand-crafted in small batches with quality ingredients and always fresh! You can order their savory and sweet popcorn varieties online, in select stores, and they've recently opened their own store-front in New Hampshire! They've even been selected for the official SWAG bags of the Daytime and Sports Emmy's of 2010, and the 2012 Kid's Choice Awards! 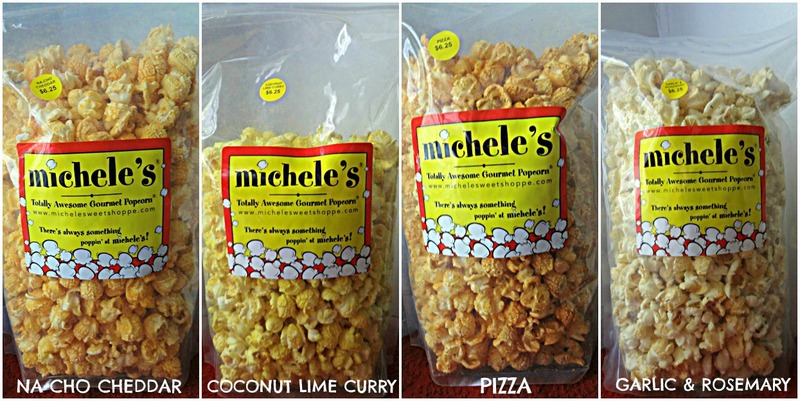 I was first introduced to Michele's Totally Awesome Gourmet Popcorn when I was in Maine filming You Can't Kill Stephen King. You see, Michele's was one of our sponsors--in return for some on-camera time, us actors and the crew got a WHOLE bunch of this amazing popcorn to eat while there. Um...yeah...that did not help my whole "I want to look thin in my bikini thing". Threw that whole plan out the door. I went insane absolutely completely totally MAD for this popcorn! You guys just have no idea. I couldn't stop eating it. I even filmed some cute little commercials for it during down-time (that have never seen the light of day, thank the Lord), because I was (and am) so in love. Before this time I wouldn't even look twice at any popcorn that wasn't plain old butter. Completely turned me around. Some of the (many) flavors I went crazy for were the Caramel, Milk Chocolate, Chocolate Caramel, Peanut Butter, and Dark Chocolate Mint--and there were still so many on the site I hadn't even tried yet! I honestly began to go through withdrawal once I got back from Maine. Fast forward a year and a half later, and here I was...still missing that popcorn. But now I had a food blog. I sent Michele an email asking if she'd like me to do a blog review and she very enthusiastically agreed :). So, lucky me, I got sent some wonderful treats to tell you guys about! Nacho Cheddar: "Very true to its name. Not quite as strong as eating nacho cheese itself, but this popcorn is definitely a more subtle version of cheesiness with the slightest kick at the end to let you know it's nacho cheese and not your average cheddar." Coconut Lime Curry: Ok, I should preface this with the fact that Michael and I don't like curry, so I don't think we're fair judges. I am sure someone will probably love this-just someone with a much more adventurous palate. Michael said, "It's a bit confusing, I wish the flavor was just the lime. Something about the combination doesn't fit for me." Pizza: This was Michael's favorite. "The Pizza popcorn has a nice, subtle, tomato sauce flavor. It's not super strong and does not linger as much as the other flavors." Garlic and Rosemary: This is actually the only one Michael didn't try, and the only one I've had. This was in Maine and was my favorite of the savory popcorns. It's garlic and rosemary, what's not to like? EEEEE!!!! I love these I love these I love these! Nobody does sweet popcorn better than Michele's. No one. It's impossible. I fell head over heels for all these new flavors just as much as the ones I'd had back in Maine. Poor Michael got barely a bite of each, but I could not control myself. I kept creeping into the kitchen to steal more. These got eaten up (by me) way too fast. I couldn't help it! And I miss them SO much. Coconut Almond Bliss: This must be a new flavor, as it is not on the site. As usual, perfectly named. This popcorn is not only chocolatey, but with the delicious and distinct flavor of coconut and the lovely crunch of almonds. I would say this was one of my favorites...but then...I'd say that about each of them :D.
Peanut Butter Cup: I mean...how could I not love this? I love peanut butter cups! Any pb/chocolate combination is GOLD to me! This flavor is actually a mix of peanut butter popcorn and the chocolate caramel-and they're best when you have an equal amount of each flavor eaten at once. Trust me. These babies are better together. They should get married and stuff. It's very rich and super lovable. S'mores: Again...c'mon...I LOVE S'MORES! This is made up of milk chocolate popcorn, crushed graham crackers, mini marshmallows (but crunchy ones, like the kind in Lucky Charms' kind of texture), and it's all drizzled in dark chocolate. So perfect. You have the wonderful richness and bite from the chocolate, with the extreme sweetness of the marshmallows, and it's all mellowed out by the delicious bites of graham cracker. It is absolutely s'mores in popcorn form at it's absolute best. Could not be better. None of these could be. Now! You should go get your hands on some of this stuff! Disclaimer: Michele's Totally Awesome Gourmet Popcorn provided me with samples of product to review, and I was under no obligation to review if I so chose. Nor was I under any obligation to write a positive review in return for the free product. My opinions, as always, are all my own.